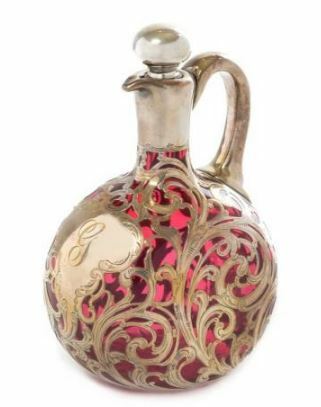 To find prices and determine values for your antiques & collectibles of any kind, please see our Price Guides with millions of examples of items sold. Oiliness may be removed with alcohol left in for about 15 minutes. In each instance, the item should be thoroughly rinsed and dried afterward. Strips of cloth may be inserted into bottles to dry them and then removed with a heavy wire or hook. 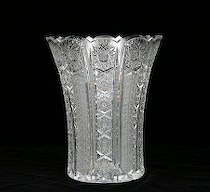 Antique Glass which continues to cloud up after cleaning and rinsing is known as "sick glass." It is caused by the formation and separation of crystals due to the imperfect fusion of the metal or too high an alkaline content in the making. It can be professionally polished off and then "glass wax" applied if the area can be reached. Frequent applications of the wax will be helpful in delaying further deterioration. Unfortunately, this remedy is usually not practical where it is needed most - in the cleansing of bottle type containers. 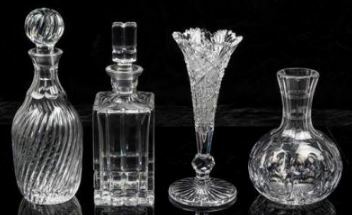 Cut glass with sterling silver mountings was once very popular. 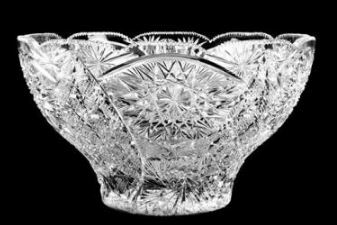 To this very day, many people consider the use of sterling articles with cut glass as the basis for the most elegant table settings. However, each section must be carefully cleaned using a different ‘set of rules’. For information and useful advice on cleaning Metal items, including Antique Sterling Silver or Antique Silverplate, please see another article on this website. In general, in cases of antiques that are made of a mix of different materials, please be careful so as not to have certain chemicals or cleaning agents suitable for one material come in contact with other parts.